The South Atlanta Basketball Officials (SABO) got its start all because referees who traveled to Fayette County from Atlanta to call the Fayette County Youth Recreation League were not giving proper respect to the games, the players or coaches in the games they were refereeing. Here is how it occurred. 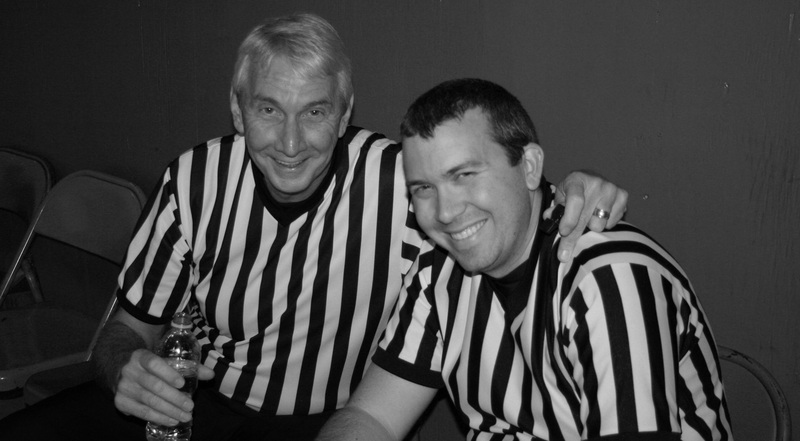 In 1989 Phillip Sisk began assigning referees for the Fayette County Youth Basketball Association because the referees that were being assigned often did not show up, showed up late and all too often had bad attitudes toward the coaches, players and/or fans. He began using local people to referee the games, many who were already experienced referees and many who had to be trained. The FCYBA was very happy with the change and due to word of mouth recommendations from fans, players and referees, SABO began to grow. Fast Forward to 2019 and SABO now calls youth and adult recreation basketball as well as private high school and middle schools games in Clayton, Fayette, Henry, Coweta and Spalding Counties. As SABO has grown it has become necessary to recruit officials that do not live in the Fayette County area and have no connection to the leagues that SABO officiates. But it is SABO’s goal that all referees remember how and why SABO got its start. SABO’s hope is that all who call games for SABO, now and in the future, will realize that there is NO place for referees who don’t respect the leagues they call, their players and their coaches.